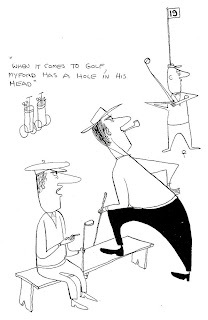 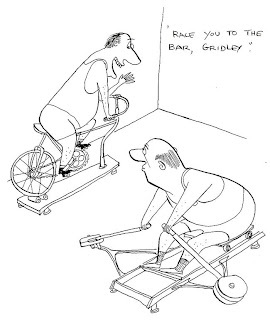 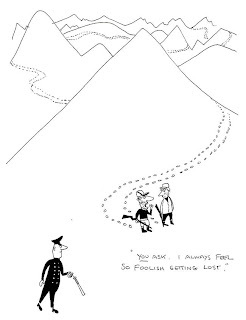 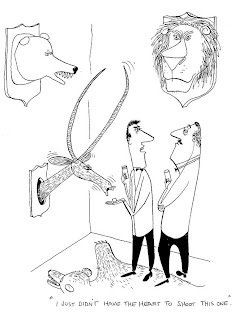 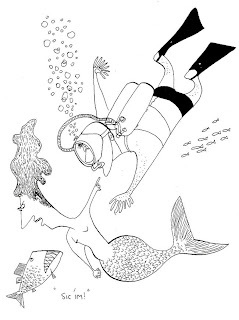 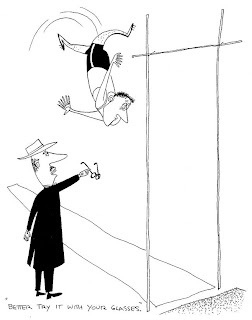 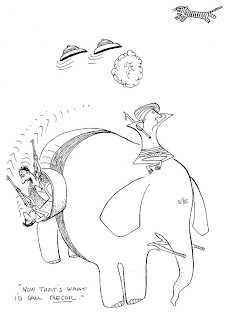 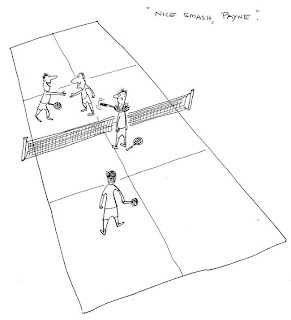 Virgil Partch was a great cartoonist with funny, bizarre ideas and wacky visual puns. 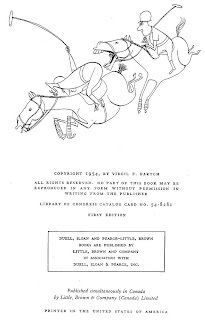 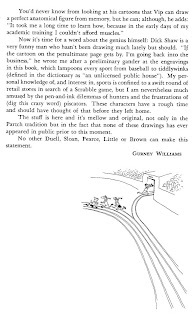 He produced several successful books of his cartoons. 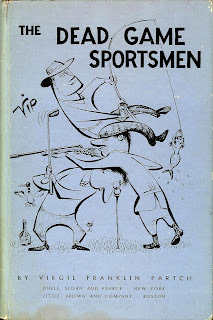 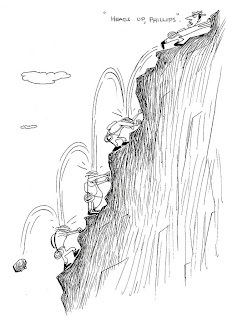 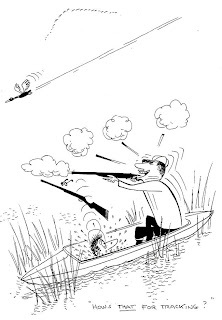 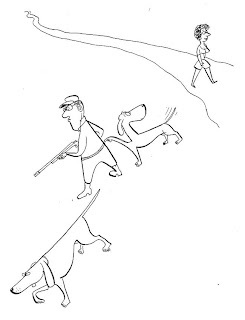 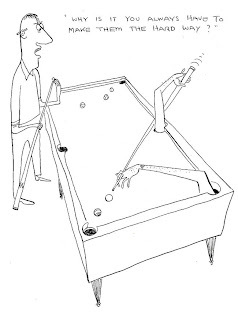 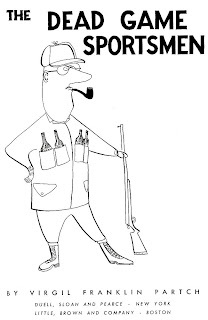 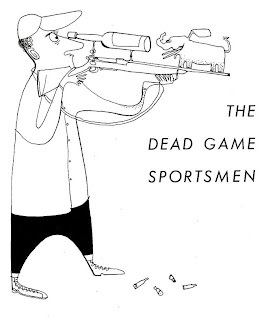 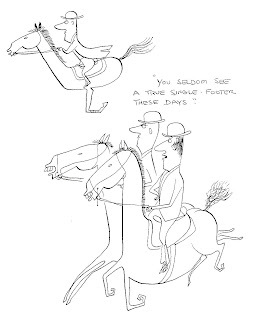 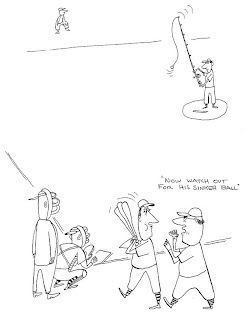 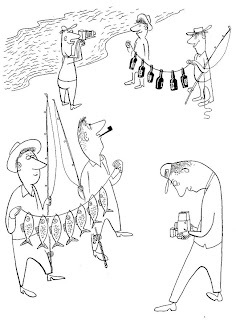 These cartoons are from THE DEAD GAME SPORTSMEN, published by Duell, Sloan and Pearce, First Edition, 1954. 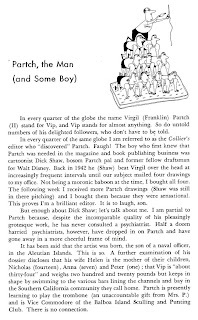 Partch, born in 1916, died in a car accident in 1984.